That looks brilliant. Great job! Thank you Michael. Hopefully the village will look good in the game of Hail Caesar we have planned for it. I love this! I need to take time to make nice pieces like this one. 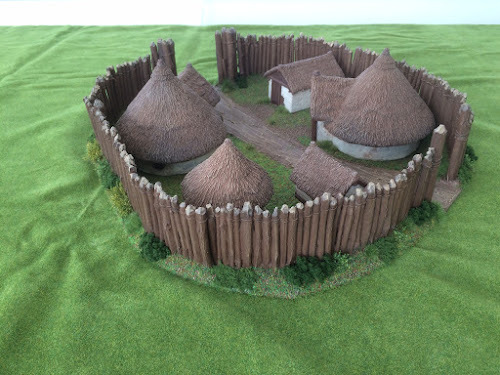 I can see this being used as a hill fort as well. Easily used along with the Romano Brits I am trying to paint up. Thanks Kevin. 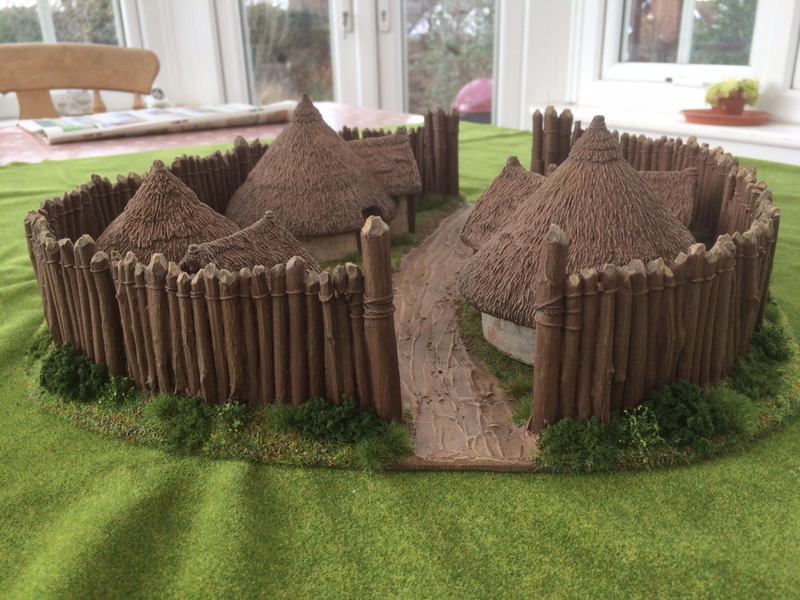 I had an idea to use the base for different things, but probably should have given it just the one gate if it was to be a hill fort? I'll definitely be putting the buildings to other uses. I'm hoping to put some Romano British on the table too at some point as well. Must get my Ancient Britons finished first though! That's great. It reminds me of a certain Gulish village that I came to love as a youngster.